Below we have designed a series of the most frequently asked questions we hear on a daily basis. We hope they are helpful and if you have any further questions feel free to call us at 817-925-6229. For your convenience, you may also request services from this site. No matter how hard I clean my windows they always seem to have a "foggy" dirty appearance. Aside from just condensation, are there any other cause for the fog on my windows? Complete window replacement can be exspensive, is that my ONLY option to correct foggy appearance? Once my windows have been restored, what can I typical expect my "R-value" to be? In comparison to replacing the window completely, how much does it cost to have my windows restored? Why is there condensation on the interior views of my windows? In my home, I have the type of windows which have a plastic film in the middle. Is this a problem? I am in need of a full service window company. ...... I live in the Fort Worth metroplex, do you service my neighborhood? No matter how hard I clean my windows they always seem to have a "foggy" dirty appearance. What is the problem? Your foggy apppearance is not a problem of cleanliness. Insulated or double-paned glass is composed of many sealing agents which in time begin to degrade and breakdown. Consequently condensation begins to develop between the panes resulting in a foggy appearance. 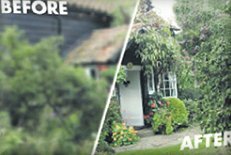 Contact Quick Glass, your foggy window specialist to repair any foggy window problems you may have. Aside from just condensation, are there any other cause for the fog on my windows? YES. Actually foggy windows result from numerous factors, however most commonly it is a chemical reaction within the insulator around the window. Activated by heat, numerous chemical balls of the insulator emit other chemicals which suffocate the air between the panes, leaving dead space. After about ten years of expanding and contracting, the glass eventually breaks loose from the insulator, resulting in permanent damage to glass. Beginning with the foggy apearance, it then goes to a wet weepy look then finally a powdery substance which will conclusively etch the glass. If repaired immediately, only the glass should need to be replaced. Your foggy window specialists at Quick Glass will gladly provide the best possible resolution to your problem. Please call 817-925-6229 for a free consultation and immediate results. Complete window replacement can be exspensive, is that my ONLY option to correct foggy appearance? Absolutely NOT! Foggy windows can be cured by simply replacing the glass. Feel free to contact the foggy window specialists at Quick Glass for a free consultation at 817-925-6229. I have heard alot of information regarding the the importance of the R-value of my windows. Once my windows have been restored, what can I typical expect my "R-value" to be? The R-value or the measure of resistance to heat gain or loss, should normally be at a range of between 3.2 to 4.3. Obviously the greater the number the higher the resistance to heat loss. 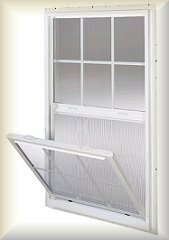 After replacing the glass of your widndows your R-value should be restored equivelant as if the window unit was brand new. In comparison to replacing the window completely, how much does it cost to have my windows restored? Typically the cost to restore a window is approximately 1/2 to 1/3 of the expense to replace to entire window. Of course the windows size and style also are a factor, however the experts at Quick Glass are glad to offer a free estimate of the cost associated before we ever begin. Please call 817-925-6229 to schedule an appointment at your convenience. Why is there condensation on the interior views of my windows? Much like an iced tea glass "sweats" in the heat of the summer, windows are actually the coolest areas of exterior walls. Even though they may have thermal panels, be glazed with sealed insulating glass, Low-E insulating glass, or use triple glazing incorporating three panels of glass they still have a tendency to react to changes in temperature. 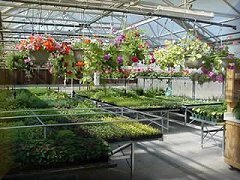 When the warm room air comes in contact with the glass surface, it is cooled, and if there is enough moisture in the air, the dew point will be reached and the water condensed out. In my home, I have the type of windows which have a plastic film in the middle. Is this a problem? Not at all! At Quick Glass, we are not only your "foggy window specialists" but we are the experts in ANY type of window. 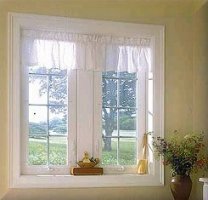 Our professionals promise to deliver uncompromising product and workmanship no matter what type of window you may have. I am in need of a full service window company. Do you do crack repairs, complete window replacement, and windshield repair and replacement? We take great pride in having the ability to offer a complete line of glass repair and replacement services. Whether you are a residential customer with a need for your home, a commercial client who needs glass work done for their office, have heavy machinery or a windshield that needs replaced we are your one stop shop!